Authors: Baranova N.A., Nikolaenko V.P. Aim — to determine optimal terms of the primary ocular prosthetics, to develop the most auspicious regimen of adaptation to the ocular prosthesis in children with congenital anophthalmia and microphthalmia. Material and methods. A total of 46 children aged from 1 month to 16 years with congenital defect were under observation. Among patients with congenital microphthalmia, only unpromising eyes were subject to ocular prosthetics. Examination methods in the laboratory included external examination of the orbit, palpebral fissure, and eyelids. The state of the cul-de-sac of eyelids, the configuration of the conjunctival cavity, the anterior segment of the abnormally small eyeball were assessed. Photography was performed to achieve a dynamic control of external prosthetics signs of, and to evaluate the face symmetry. Results. Best results were observed at early stepwise ocular prosthetics with consideration of features of the ocular prosthesis material, without prior surgery. Long-term cosmetic performance of children with congenital anophthalmia and microphthalmia directly depended on age at which the non-surgical treatment began, on the timely replacement of the ocular prosthesis, compliance to the regimen developed for the adaptation to the prosthesis. Conclusion. This study showed that the terms of primary ocular prosthetics are of crucial importance for the symmetrical development of soft tissues and facial skeleton. Prosthetics for patients with congenital anophthalmia should be started at the first month of life. The optimal term for primary prosthetics in congenital microphthalmia depends on the length of the antero-posterior axis at birth. If the axial length is less than 7.5 mm, prosthetics should be started at the first month of life, if the axis is longer than 10 mm — no later than from the fourth month of life. congenital anophthalmia and microphthalmia, adaptation to the ocular prosthesis, terms of primary prosthetics. Congenital anophthalmia and microphthalmia are severe congenital malformations of the eye. Microphthalmia is characterized by a decreased eyeball size and functional impairments . The global prevalence of microphthalmia varies between 2.4 and 3.5 per 10,000 births ; congenital microphthalmia is diagnosed in 3.2% to 11.2% of all blind children [3, 4]. In Scotland, the prevalence of microphthalmia and anophthalmia is 19/100,000 . In California, the prevalence of unilateral and bilateral anophthalmia reaches 0.18 and 0.22 cases per 10,000 births, respectively . In Hawaii, the prevalence is 3.21 per 10,000 births . The Laboratory of Ocular Prosthetics in Saint Petersburg reported that the prevalence of congenital microphthalmia is not lower than 0.18 per 10,000 births. The majority of patients with microphthalmia have some concomitant disorders. Khvatova et al. reported a high prevalence of unilateral cataract, microphthalmia, microcornea, nystagmus, and strabismus in children. According to Sudovskaya et al. , 28.8% of children with congenital cataract have microphthalmia. In congenital microphthalmia, the eye can be slightly (by 1–2 mm) or significantly reduced in size (in some cases it can hardly be found) . The cornea is substantially reduced with opacities. Moreover, patients with congenital microphthalmia often have typical coloboma of the iris . Congenital anophthalmia (true and apparent) is characterized by an absent eyeball. Clinical manifestations of true and apparent anophthalmia and microphthalmia with a rudimentary eyeball are similar. The eyeball is absent in the orbit, although ultrasound B scanning or computed tomography/magnetic resonance imaging usually allow visualizing its rudiment . Congenital anophthalmia and microphthalmia can develop independently or as part of some syndrome [13,14]. Patients with congenital anophthalmia usually have their superior eyelid fornix hanging down (forming a “sail”) and the inferior eyelid fornix flattened, whereas the eyelid cavity floor is displaced toward the top of the orbit (Fig. 1) . Congenital anophthalmia and microphthalmia can be associated with exogenous and endogenous factors. Genetic factors have the most important role in the development of anophthalmia and microphthalmia: 50% to 75% of severe ocular disorders are believed to be hereditary . Congenital microphthalmia is often caused by degenerative and inflammatory processes . Some viruses, including Rubella virus, cytomegalovirus, influenza virus, parainfluenza virus, and coxsackievirus, exert a pronounced teratogenic effect. Most frequently, ocular malformations develop after fetal infection in the first trimester of pregnancy. Noninfectious causes include maternal vitamin A deficiency, x-ray exposure, alcohol abuse, and recreational drug use. Rhesus isoimmunization may also lead to microphthalmia . The main risk factors for congenital anophthalmia and microphthalmia are maternal age >40 years, multiple births, low birth weight, and low gestational age [6, 7]. Doctors usually fail to identify the main factor that triggers the development of this disorder . Ocular prosthetics in children have some specific characteristics associated with physiologic growth of orbit, eyelids, eyeball, and whole face . The orbit will not grow properly if it is not “filled,” which inevitably will cause problems with appearance. Therefore, ocular prosthetics should be planned as soon as possible. Surgery is recommended when all possibilities of ocular prosthetics are exhausted . We determined the optimal time for ocular prosthetics and developed an optimal regimen of adaptation to the eye prosthesis in children with congenital anophthalmia and microphthalmia. 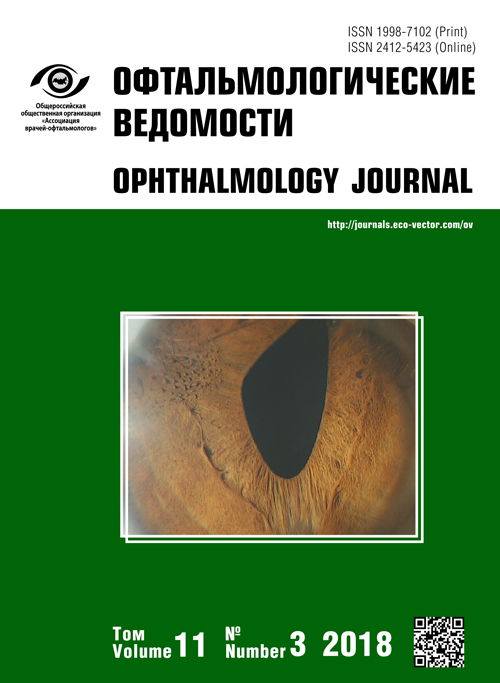 Of 46 children (1 month to 16 years old) with congenital ocular disorders who were followed at the Laboratory of Ocular Prosthetics in Saint Petersburg, 35 had unilateral microphthalmia, five had bilateral microphthalmia, and six had anophthalmia. Of the participants residing in Saint Petersburg, 25% had microphthalmia (Fig. 2). Follow-up time varied from 4 months to 15 years. All participants were divided into groups according to age when they first underwent ocular prosthetics. Group 1 included 18 patients who underwent primary ocular prosthetics in time, with individual prostheses or conformers taking into consideration the type of material they were made of, regularly, early (at the age of 0–4 months), and without previous surgery. Group 2 included seven patients who underwent primary ocular prosthetics with individual prostheses or conformers taking into consideration the type of material they are made of, regularly, at the age of 4–12 months, and without previous surgery. Group 3 included eight patients who underwent primary ocular prosthetics with individual and standard prostheses in the laboratory, and at the age of ≥1 year. Group 4 included five patients who initially underwent surgical correction and subsequently underwent ocular prosthetics with individual complex-shaped conformers. Group 5 included eight patients who underwent primary ocular prosthetics in other regions and underwent ocular prosthetics with individual prostheses in our laboratory at the age of 5 to 6 years. Patients with congenital microphthalmia underwent ocular prosthetics only if no other treatment options were available for them. Study participants underwent thorough examination of the affected and normal eye with mandatory assessment of visual functions. We performed visual examination of the orbit, palpebral fissure, and eyelids. We also evaluated the condition of the eyelid forniсes, the configuration of the conjunctival cavity, and the anterior segment of the reduced eyeball. We identified the criteria for choosing appropriate material for the ocular prosthesis according to its comparative characteristics and individual characteristics of the reduced eyeball or anophthalmic cavity. In primary ocular prosthetics during the first year of life, we measured axial eye length (AEL) at admission. The AEL is 17.30 mm in newborn boys and 17.21 mm in newborn girls. During the first year of life, AEL increases by 3.7 mm, whereas during the rest of the growth period it increases by 2.4 mm . Knowledge of these growth characteristics and AEL measurement at admission allow for the accurate prediction of ocular prosthetics outcomes and the need for prosthesis replacement during the first year of life. It is particularly important for children with unilateral anophthalmia and pronounced hypoplasia of the eyeball in microphthalmia. The outcomes of ocular prosthetics were graded using the following scale: excellent, good, satisfactory, and unsatisfactory. Assessment criteria included: (1) proper eye opening and complete eyelid closure over the prosthesis; (2) proper eyelid position: no upper/lower eyelid ptosis, no eyelid inversion, no eyelid eversion, and no upper eyelid retraction; (3) increased linear parameters of the palpebral fissure; (4) correct position of the eye prosthesis (iris position and inclination of the prosthesis); and (5) color of the eye prosthesis matches the fellow eye. We used photo registration to control external parameters of ocular prosthetics and to evaluate facial symmetry. The distribution of patients according to the grade of microphthalmia and anophthalmia (evaluated using the classification developed by Sudovskaya ) is shown in Table 1. All 46 patients had congenital complete microphthalmia with concomitant disorders of the eyeball. Two children had systemic diseases. Two of six patients with congenital anophthalmia also had systemic disorders. Table 2 demonstrates the outcomes of ocular prosthetics. Patients from Group 1 (39.1%) received individual ocular prostheses with consideration of the material they were made of. Despite timely ocular prosthetics and adequate frequency of prosthesis replacement, not all participants achieved good results. Six patients had excellent outcomes, including four diagnosed with grade 2 and two with grade 3 microphthalmia, when AEL was not <12 mm (Fig. 3). Good and satisfactory results were obtained in eight and five patients, respectively. Children with less pronounced microphthalmia and AEL >10 mm had better cosmetic outcomes. We experienced difficulties with primary prosthetics in a child with congenital bilateral microphthalmia (clinically similar to anophthalmia), who had too small fornices (<2 mm), which caused the prostheses to fall out from the cavity. We produced individual prostheses with different shapes to achieve stable position in the ca vity (Fig. 4). We gradually increased the prostheses size at each stage of their production to achieve good results (Fig. 5). No unsatisfactory outcomes were registered in Group 1. Patients from groups 2 (15.2%) and 3 (17.4%) had neither excellent nor unsatisfactory outcomes. We performed only conservative prosthetics treatment. The best outcomes were observed in patients who received primary prosthetics earlier (Group 2). Three patients from Group 3 had shortened fornixes and incomplete eyelid closure over the prosthesis due to late prosthetics use. Patients from Group 4 (11% of the entire sample) received prosthetics at our laboratory after surgical treatment. Four of five patients had unsatisfactory outcomes. These children had abnormal palpebral fissures, lagophthalmos, postoperative rigidity of the conjunctival tissue, and a clear trend towards the reduction of the conjunctival cavity (Fig. 6). Eyelid scarring after external canthotomy worsened the outcome of ocular prosthetics (Fig. 7). Patients from Group 5 (17.3%) received primary ocular prosthetics in other regions. All of them underwent conservative treatment, but not everyone had timely prosthetics placement. Some of our patients were 5 to 6 years old; their parents were seeking medical assistance, as they were not satisfied with the appearance of their children. We examined three patients and found that their prostheses did not suit the cavity, and eyelid tissue was overstretched by the prostheses, which caused lower eyelid ptosis (Fig. 8). We produced individual glass and plastic eye prostheses for these patients at our laboratory. Ocular prosthetics is aimed to ensure proper development of the facial skeleton and to stimulate soft tissues and orbital bones by increasing the size of prostheses and, therefore, expanding the conjunctival cavity  using stepwise prosthe tics . Small fornices and conical cavity shape in congenital anophthalmia significantly hampered prosthetics treatment due to prosthesis instability (fallout). In such patients, prosthetics were aimed to expand the conjunctival cavity and form eyelid fornixes, suitable for stable prosthesis positioning. We used only individual eye prostheses for patients with congenital anophthalmia. We produced various complex-shaped prostheses with a thin flattened lower edge, including fungiform ones and those with a stand on their top and a small bottom depending on the cavity depth to reduce any retraction of the prosthesis and increase its stability. Eye prostheses should fit the conjunctival cavity to avoid excessive stretching of conjunctival tissue resulting in eyelid inversion. If complex-shaped plastic prostheses could not be carefully polished, we used individual glass prostheses. Patients with congenital anophthalmia who underwent ocular prosthetics treatment during the first months of their lives had the best outcomes. We performed follow-up examination 2 weeks after primary prosthetics treatment and replaced the prosthesis with a larger one if necessary. Until the age of 6 months, we replaced the prosthesis every 4 weeks. Later, it was replaced less frequently: once every 3 months until the age of 18 months, once every 6 to 8 months until the age of 5 years, and then once a year (or more often if necessary). We recommended patients with congenital anophthalmia to wear the prosthesis constantly, without removing it at night. The same treatment strategy was used for patients with congenital microphthalmia, when the eye rudiment could be detected by radiologic methods only. To ensure better adaptation of patients with grade 2–3 microphthalmia, it is important to start prosthetics treatment using individual prostheses suiting the prosthetic cavity. The prosthesis should be properly positioned in the cavity, the eyelids should completely close over it, and there should be a reserve for free blinking in the fornices. Our results suggested that primary prosthetics therapy should be performed during the first 4 months, if AEL is not <10 mm. We conducted follow-up examinations 2 weeks after primary prosthetics therapy at our laboratory. Next, prosthetics therapy was performed 4 months later. Until the age of 5 years, prostheses were replaced once every 6 to 8 months and then once every 8 to 12 months. Patients with AEL <7.5 mm should undergo ocular prosthetics treatment earlier and require more frequent prostheses replacements. We developed the rules for adaptation to eye prostheses for children with microphthalmia. We recommend progressive adaptation to the eye prosthesis; the time of its wearing should be increased gradually during 14 days. On the first day, the prosthesis is worn for 15 min, whereas on the second day, patients are recommended to wear it for 30 minutes. The time should be increased gradually to reach 3 h by the end of week 1. By the end of week 2, patients wear the prosthesis during the whole day. Children additionally receive an antiseptic and an agent stimulating tissue repair during the adaptation period. At night, the prosthesis must be removed, disinfected, and stored in a dry place. We believe this is the optimal adaptation regimen for patients with congenital microphthalmia, and we recommend it for implementation into clinical practice. Timely ocular prosthetics therapy is crucial for the symmetric development of soft tissues and facial skeleton. Infants with congenital microphthalmia should undergo primary prosthetics as soon as possible, ideally during the first few months. In patients with congenital microphthalmia, the optimal time of primary prosthetics therapy is determined by AEL measured at birth. If AEL is <7.5 mm, the procedure should be performed during the first month. Infants with AEL >10 mm should undergo ocular prosthetics within the first four months. To achieve a good cosmetic effect, we recommend stepwise expansion of the conjunctival cavity taking into consideration the material of the eye prosthesis. To ensure normal development of the conjunctival cavity, primary ocular prosthetics treatment should be performed in special laboratories only by a specially trained ocular prosthetist. None of the authors has a financial interest in any materials or methods mentioned. The authors declare no conflict of interest. V.P. Nikolaenko and N.A. Baranova developed the research concept and study design; N.A. Baranova performed data collection, processing, and analysis and drafted the manuscript; V.P. Nikolaenko edited the manuscript. Campbell H, Holmes E, MacDonald S, et al. A capture-recapture model to estimate prevalence of children born in Scotland with developmental eye defects. J Cancer Epidemiol Prev. 2002;7(1):21-28. doi: 10.1080/14766650252962649. Fraser GR, Friedman AI. The causes of blindness in childhood. A study of 776 children with severe visual handicaps. Baltimore: Johns Hopkins Press; 1967. Fujiki K, Nakajima A, Yasuda N, et al. Genetic analysis of microphthalmos. Ophthalmic Paediatr Genet. 2009;1(2):139-149. doi: 10.3109/13816818209031458. Morrison D. National study of microphthalmia, anophthalmia, and coloboma (MAC) in Scotland: investigation of genetic aetiology. J Med Genet. 2002;39(1):16-22. doi: 10.1136/jmg.39.1.16. Shaw GM, Carmichael SL, Yang W, et al. Epidemiologic characteristics of anophthalmia and bilateral microphthalmia among 2.5 million births in California, 1989-1997. Am J Med Genet A. 2005;137(1):36-40. doi: 10.1002/ajmg.a.30840. Forrester MB, Merz RD. Descriptive epidemiology of anophthalmia and microphthalmia, Hawaii, 1986-2001. Birth Defects Res A Clin Mol Teratol. 2006;76(3):187-192. doi: 10.1002/bdra.20237. Судовская Т.В., Филатова И.А., Киселёва Т.Н., и др. Клинико-анатомические особенности врождённого микрофтальма и анофтальма у детей и консервативные методы реабилитации // Вестник офтальмологии. - 2016. - Т. 132. - № 3. - С. 4-9. [Sudovskaya TV, Filatova IA, Kiseleva TN, et al. Clinical and anatomical features of congenital microphthalmia and anophthalmia in children and conservative methods of rehabilitation. Annals of Ophthalmology. 2016;132(3):4-9. (In Russ.)]. doi: 10.17116/oftalma201613234-9. Copyright (c) 2018 Baranova N.A., Nikolaenko V.P.